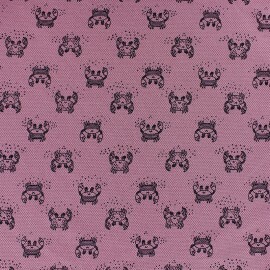 Discover this pretty stitched cotton fabric with patterned and slightly ribbed. 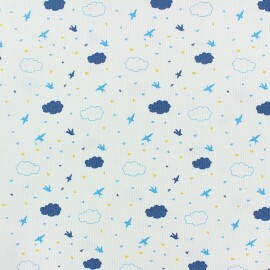 This 100% cotton Cloud fabric with small blue bird and cloud patterns and perfect for making spring and comfortable clothes: dresses, blouses, skirts, shirts. 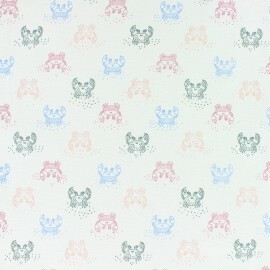 Discover this pretty stitched cotton fabric with patterned and slightly ribbed. 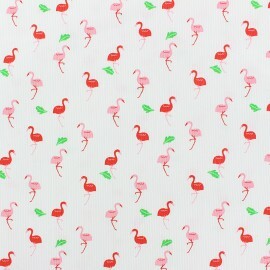 This 100% cotton Flamingo fabric with small red and pink Flamingo patterns and perfect for making spring and comfortable clothes: dresses, blouses, skirts, shirts. Discover this pretty stitched cotton fabric with patterned and slightly ribbed. 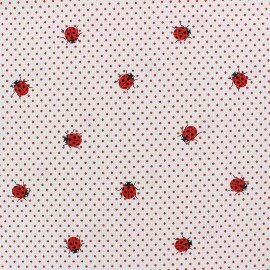 This 100% cotton Ladybug fabric with small red dots and ladybug patterns and perfect for making spring and comfortable clothes: dresses, blouses, skirts, shirts. Discover this pretty stitched cotton fabric with patterned and slightly ribbed. 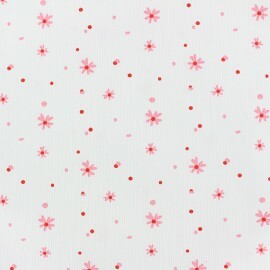 This 100% cotton Little flowers fabric with small red and pink dots and daisy patterns and perfect for making spring and comfortable clothes: dresses, blouses, skirts, shirts. 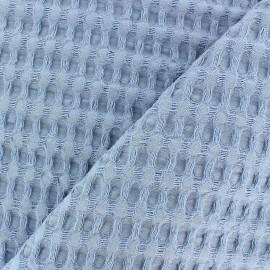 Discover this waffle stitch cotton fabric, special for polo shirt in a pretty light grey color. Fall for this Pointy jersey cotton fabric with 4% of elastane and pretty small diamonds, and create polo shirts for the whole family. 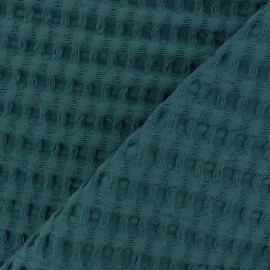 Discover this waffle stitch cotton fabric, special for polo shirt in pretty raw color. Fall for this Crab jersey cotton fabric with 4% of elastane and pretty small multicolor crab patterns, and create polo shirts for the whole family. 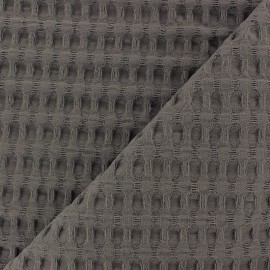 Discover this waffle stitch cotton fabric, special for polo shirt in a pretty mottled grey color. Fall for this Crab jersey cotton fabric with 4% of elastane and pretty small black crabs patterns, and create polo shirts for the whole family. 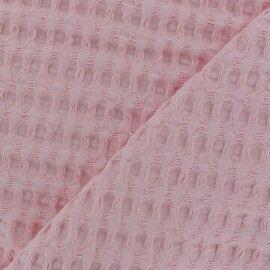 Discover this waffle stitch cotton fabric, special for polo shirt in a pretty old pink color. Fall for this Crab jersey cotton fabric with 4% of elastane and pretty small black crabs patterns, and create polo shirts for the whole family. Discover this waffle stitch cotton fabric, special for polo shirt in a pretty old pink color. Fall for this Pointy jersey cotton fabric with 4% of elastane and pretty small diamonds, and create polo shirts for the whole family. 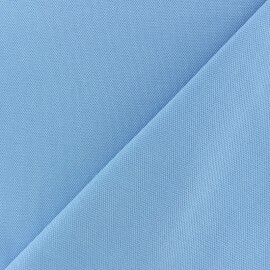 Discover this waffle stitch cotton fabric, special for polo shirt in a pretty sky blue color. Fall for this Pointy jersey cotton fabric with 4% of elastane and pretty small diamonds, and create polo shirts for the whole family. 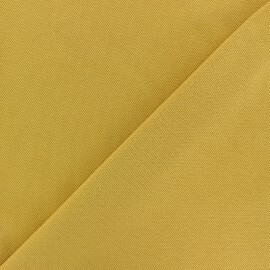 Discover this waffle stitch cotton fabric, special for polo shirt in a pretty mustard yellow color. 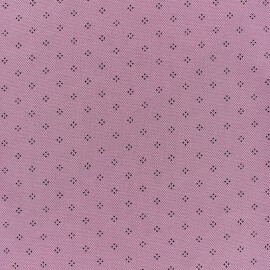 Fall for this Pointy jersey cotton fabric with 4% of elastane and pretty small diamonds, and create polo shirts for the whole family. 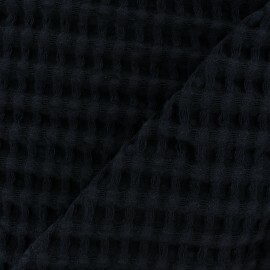 Discover this waffle stitch cotton fabric, special for polo shirt in a pretty black color. Fall for this jersey cotton fabric with 4% of elastane, and create polo shirts for the whole family. 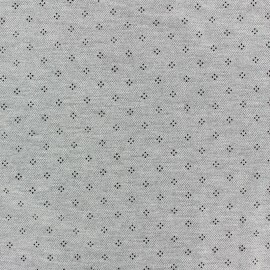 Discover this waffle stitch cotton fabric, special for polo shirt in a pretty mottled grey color. 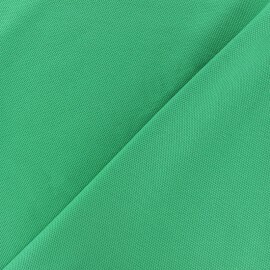 Fall for this jersey cotton fabric with 4% of elastane, and create polo shirts for the whole family. Discover this waffle stitch cotton fabric, special for polo shirt in a pretty khaki green color. Fall for this jersey cotton fabric with 4% of elastane, and create polo shirts for the whole family. 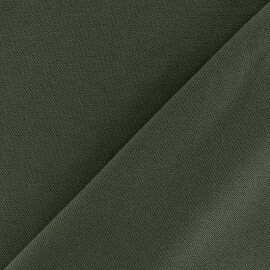 Discover this waffle stitch cotton fabric, special for polo shirt in a pretty lovat green color. Fall for this jersey cotton fabric with 4% of elastane, and create polo shirts for the whole family. 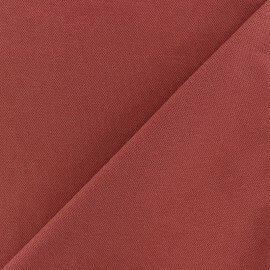 Discover this waffle stitch cotton fabric, special for polo shirt in a pretty rust red color. Fall for this jersey cotton fabric with 4% of elastane, and create polo shirts for the whole family. 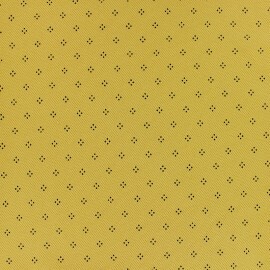 Discover this waffle stitch cotton fabric, special for polo shirt in a pretty mustard yellow color. Fall for this jersey cotton fabric with 4% of elastane, and create polo shirts for the whole family. 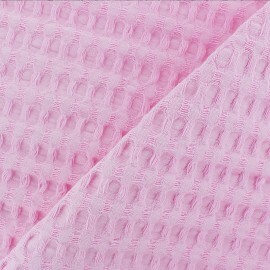 Discover this waffle stitch cotton fabric, special for polo shirt in a pretty old pink color. Fall for this jersey cotton fabric with 4% of elastane, and create polo shirts for the whole family. Discover this waffle stitch cotton fabric, special for polo shirt in a pretty off-white color. Fall for this jersey cotton fabric with 4% of elastane, and create polo shirts for the whole family. 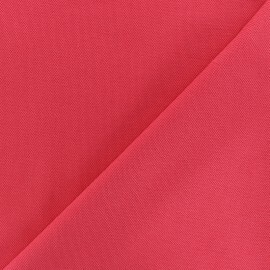 Discover this waffle stitch cotton fabric, special for polo shirt in a pretty red color. Fall for this jersey cotton fabric with 4% of elastane, and create polo shirts for the whole family. 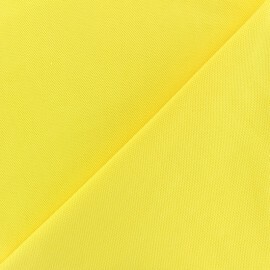 Discover this waffle stitch cotton fabric, special for polo shirt in a pretty lemon yellow color. Fall for this jersey cotton fabric with 4% of elastane, and create polo shirts for the whole family. 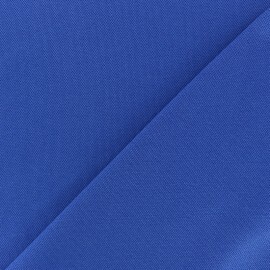 Discover this waffle stitch cotton fabric, special for polo shirt in a pretty royal blue color. Fall for this jersey cotton fabric with 4% of elastane, and create polo shirts for the whole family. 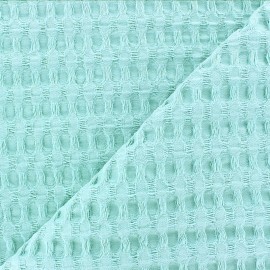 Discover this waffle stitch cotton fabric, special for polo shirt in a pretty meadow green color. Fall for this jersey cotton fabric with 4% of elastane, and create polo shirts for the whole family. 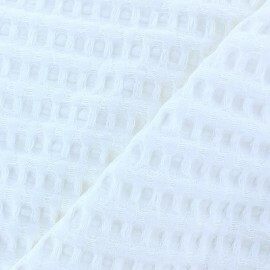 Discover this waffle stitch cotton fabric, special for polo shirt in a pretty white color. Fall for this jersey cotton fabric with 4% of elastane, and create polo shirts for the whole family. 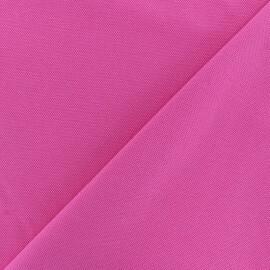 Discover this waffle stitch cotton fabric, special for polo shirt in a pretty pink color. Fall for this jersey cotton fabric with 4% of elastane, and create polo shirts for the whole family. 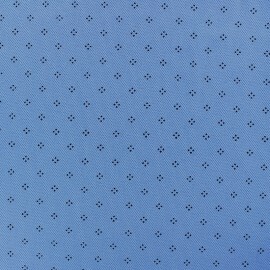 Discover this waffle stitch cotton fabric, special for polo shirt in a pretty sky blue color. Fall for this jersey cotton fabric with 4% of elastane, and create polo shirts for the whole family. 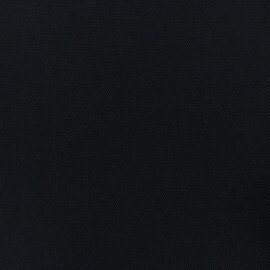 Fall for this big honeycomb terry cloth in black color. Ideal for making bathroom accessories: bathrobes, bathrobes, changing mats, towels, tea towels ... and Zero-waste accessories! 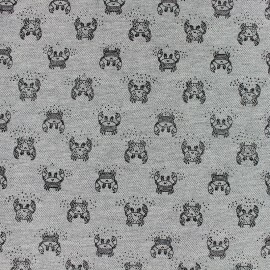 100% cotton, thick and certified Oeko-Tex, this double-sided XL honeycomb cotton fabric is available in many colors, sure you will find the one that suits you. Fall for this big honeycomb terry cloth in dark grey color. Ideal for making bathroom accessories: bathrobes, bathrobes, changing mats, towels, tea towels ... and Zero-waste accessories!  100% cotton, thick and certified Oeko-Tex, this double-sided XL honeycomb cotton fabric is available in many colors, sure you will find the one that suits you. 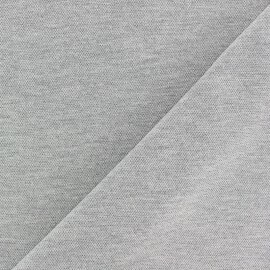 Fall for this big honeycomb terry cloth in grey color. Ideal for making bathroom accessories: bathrobes, bathrobes, changing mats, towels, tea towels ... and Zero-waste accessories! 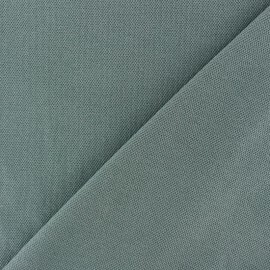 100% cotton, thick and certified Oeko-Tex, this double-sided XL honeycomb cotton fabric is available in many colors, sure you will find the one that suits you. Fall for this big honeycomb terry cloth in peach color. Ideal for making bathroom accessories: bathrobes, bathrobes, changing mats, towels, tea towels ... and Zero-waste accessories! 100% cotton, thick and certified Oeko-Tex, this double-sided XL honeycomb cotton fabric is available in many colors, sure you will find the one that suits you. Fall for this big honeycomb terry cloth in old pink color. Ideal for making bathroom accessories: bathrobes, bathrobes, changing mats, towels, tea towels ... and Zero-waste accessories! 100% cotton, thick and certified Oeko-Tex, this double-sided XL honeycomb cotton fabric is available in many colors, sure you will find the one that suits you. 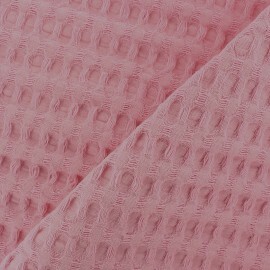 Fall for this big honeycomb terry cloth in water rose color. Ideal for making bathroom accessories: bathrobes, bathrobes, changing mats, towels, tea towels ... and Zero-waste accessories! 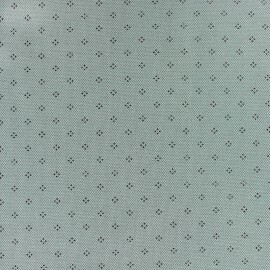 100% cotton, thick and certified Oeko-Tex, this double-sided XL honeycomb cotton fabric is available in many colors, sure you will find the one that suits you. Fall for this big honeycomb terry cloth in Cotton candy pink color. Ideal for making bathroom accessories: bathrobes, bathrobes, changing mats, towels, tea towels ... and Zero-waste accessories! 100% cotton, thick and certified Oeko-Tex, this double-sided XL honeycomb cotton fabric is available in many colors, sure you will find the one that suits you. 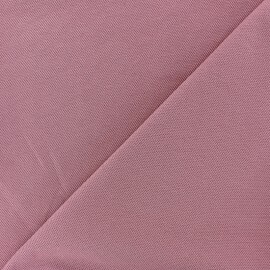 Fall for this big honeycomb terry cloth in Baby pink color. Ideal for making bathroom accessories: bathrobes, bathrobes, changing mats, towels, tea towels ... and Zero-waste accessories! 100% cotton, thick and certified Oeko-Tex, this double-sided XL honeycomb cotton fabric is available in many colors, sure you will find the one that suits you. Fall for this big honeycomb terry cloth in mint green color. Ideal for making bathroom accessories: bathrobes, bathrobes, changing mats, towels, tea towels ... and Zero-waste accessories! 100% cotton, thick and certified Oeko-Tex, this double-sided XL honeycomb cotton fabric is available in many colors, sure you will find the one that suits you. Fall for this big honeycomb terry cloth in almond green color. Ideal for making bathroom accessories: bathrobes, bathrobes, changing mats, towels, tea towels ... and Zero-waste accessories! 100% cotton, thick and certified Oeko-Tex, this double-sided XL honeycomb cotton fabric is available in many colors, sure you will find the one that suits you. 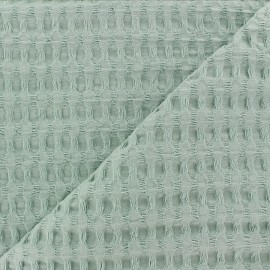 Fall for this big honeycomb terry cloth in eucalyptus green color. Ideal for making bathroom accessories: bathrobes, bathrobes, changing mats, towels, tea towels ... and Zero-waste accessories! 100% cotton, thick and certified Oeko-Tex, this double-sided XL honeycomb cotton fabric is available in many colors, sure you will find the one that suits you. 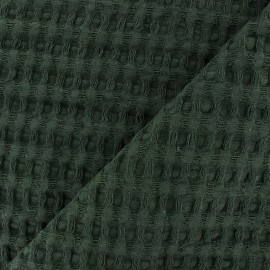 Fall for this big honeycomb terry cloth in peacock green color. Ideal for making bathroom accessories: bathrobes, bathrobes, changing mats, towels, tea towels ... and Zero-waste accessories! 100% cotton, thick and certified Oeko-Tex, this double-sided XL honeycomb cotton fabric is available in many colors, sure you will find the one that suits you. Fall for this big honeycomb terry cloth in pine green color. Ideal for making bathroom accessories: bathrobes, bathrobes, changing mats, towels, tea towels ... and Zero-waste accessories! 100% cotton, thick and certified Oeko-Tex, this double-sided XL honeycomb cotton fabric is available in many colors, sure you will find the one that suits you. Fall for this big honeycomb terry cloth in mustard yellow color. Ideal for making bathroom accessories: bathrobes, bathrobes, changing mats, towels, tea towels ... and Zero-waste accessories! 100% cotton, thick and certified Oeko-Tex, this double-sided XL honeycomb cotton fabric is available in many colors, sure you will find the one that suits you. Fall for this big honeycomb terry cloth in taupe color. Ideal for making bathroom accessories: bathrobes, bathrobes, changing mats, towels, tea towels ... and Zero-waste accessories! 100% cotton, thick and certified Oeko-Tex, this double-sided XL honeycomb cotton fabric is available in many colors, sure you will find the one that suits you. 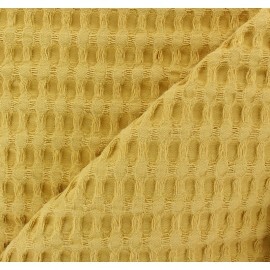 Fall for this big honeycomb terry cloth in sand beige color. Ideal for making bathroom accessories: bathrobes, bathrobes, changing mats, towels, tea towels ... and Zero-waste accessories! 100% cotton, thick and certified Oeko-Tex, this double-sided XL honeycomb cotton fabric is available in many colors, sure you will find the one that suits you. Fall for this big honeycomb terry cloth in raw color. Ideal for making bathroom accessories: bathrobes, bathrobes, changing mats, towels, tea towels ... and Zero-waste accessories! 100% cotton, thick and certified Oeko-Tex, this double-sided XL honeycomb cotton fabric is available in many colors, sure you will find the one that suits you. 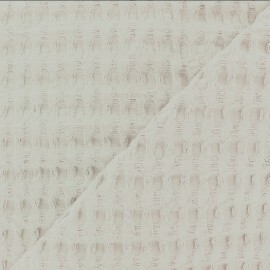 Fall for this big honeycomb terry cloth in milk white color. Ideal for making bathroom accessories: bathrobes, bathrobes, changing mats, towels, tea towels ... and Zero-waste accessories! 100% cotton, thick and certified Oeko-Tex, this double-sided XL honeycomb cotton fabric is available in many colors, sure you will find the one that suits you. 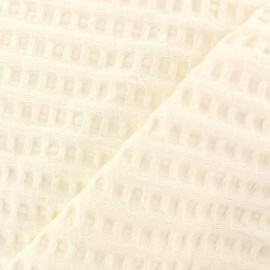 Fall for this big honeycomb terry cloth in white color. Ideal for making bathroom accessories: bathrobes, bathrobes, changing mats, towels, tea towels ... and Zero-waste accessories! 100% cotton, thick and certified Oeko-Tex, this double-sided XL honeycomb cotton fabric is available in many colors, sure you will find the one that suits you. Fall for this big honeycomb terry cloth in sky blue color. Ideal for making bathroom accessories: bathrobes, bathrobes, changing mats, towels, tea towels ... and Zero-waste accessories! 100% cotton, thick and certified Oeko-Tex, this double-sided XL honeycomb cotton fabric is available in many colors, sure you will find the one that suits you. Fall for this big honeycomb terry cloth in grey blue color. Ideal for making bathroom accessories: bathrobes, bathrobes, changing mats, towels, tea towels ... and Zero-waste accessories! 100% cotton, thick and certified Oeko-Tex, this double-sided XL honeycomb cotton fabric is available in many colors, sure you will find the one that suits you.